This is a digital download graphic design for a compilation of many popular country music singles of the day. This series is much like digital albums such as Kidz Bop and NOW! That’s What I Call Music. The collection of songs is exclusively available online via iTunes, Amazon, and other online music outlets. It is a part of the long running series of cover albums produced by Wellington Beck that I designed art for. Quick turnaround was the name of the game for these projects. I excelled at exceeding my client’s expectations on time, each and every time. My client requested me to base the album artwork concept on the hit ABC TV series Nashville. I mimicked the show’s mix of serif and condensed sans serif fonts, as well as the bright pink and grey color scheme. The music publisher also made the request that I incorporate an image of a vintage tube television. I started with these ideas, and then decided to expand on them. Finally, I incorporated a retro television “test pattern” graphic to complete the image’s layout. Many older listeners and fans of the days when television stations signed off for the night with similar images enjoyed this touch. 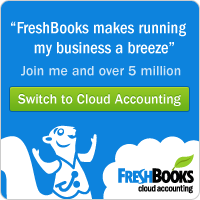 I made an instant hit with both my client and their listeners. These album art web graphics are among some of my favorite projects. I found it exciting whenever a new assignment would come across my desk. Are you a music publisher or an artist who needs a quality design created to meet digital retailers’ standards? I am just as passionate about music as I am about top shelf graphic design. Contact me today to get started. 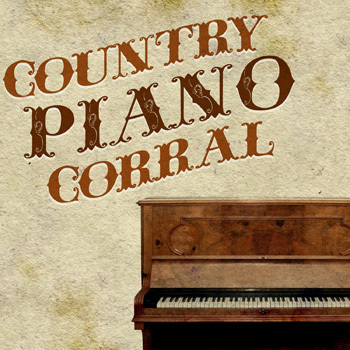 This country music album art complements a compilation of country singles produced by some longtime regular clients. Wellington Beck produced digital exclusive albums featuring cover versions of songs by popular artists like Luke Bryan, Blake Shelton, and others. As with past projects, they gave me a lot of creative “rope” and very few specific guidelines. I felt that sticking with a base of primary colors and a text focused design would help the art stand out. 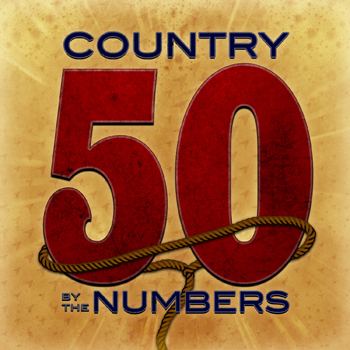 The client asked me to make the number “50” the most prominent part of this country music album art. Therefore, I set it in a bold red tall serif. I stylized it with a faint inner glow effect and an opaque shadow in order to give it just the right depth. On the top and bottom, I typed “Country by the Numbers” in a deep blue shade. For these words, I used the Trade Gothic font in a light weight. In keeping with the Old West theme, I then added a rope “lassoing” it the number 50. It swoops in from the bottom to grab it. The rope envelopes the number in front and back, creating three dimensions. Finally, I overlaid the bold and bright artwork with a rusty, sputtered grunge pattern. There is also a faint outline of arrows flying up and to the right. The background also contains some bright beams of light. I was happy that this art successfully blended primary hues with grunge elements and Western themes. Are you an independent country music artist, a record label, or a publisher? Whether you need a print CD art, or a quick turnaround digital art solely for streaming services, I’ve got you covered. Contact me to get started today. My client was very happy with how this collection of country music covers CD art design turned out. The only specific requests the publisher Wellington Beck gave me for the design were to incorporate an old school microphone in the title. As always, they trusted me completely to create a professional, quick turnaround graphic. 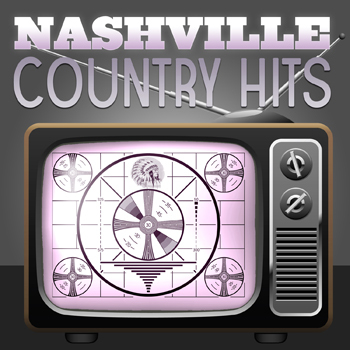 The latest compilation in their country music series became a huge hit and this design was a big part of that. The name of the project suggests mystery, so I sought to create a scene which was teaming with anonymous silhouettes. I also went for an 80’s Western movie poster feel, which is similar to this one. In the image’s background, horsemen gallop along a ghostly trail set in the smoky sky above a purple and blue mountain range. Perhaps the cowboys in the foreground are searching for some outlaw horse thieves. 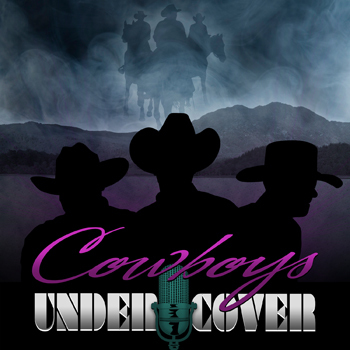 Continuing the retro 80’s movie theme, I then spelled “Cowboys” in large, stretched pink script font in the title. In order to give it some shine, I added a gradient effect. Also, I colored the vintage microphone in a deep turquoise so as to complement the main title. It is featured between the words “Under” and “Cover”, which are spelled in a radical, classic block font. 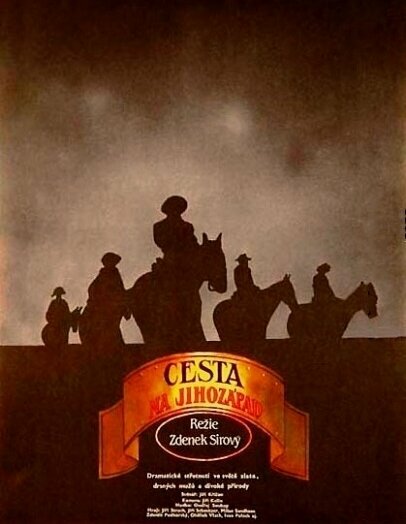 These letters also feature a white to grey gradient and a white shadow to create contrast against the cowboy figures in the foreground. This digital download cover art is like Miami Vice meets Gunsmoke! Are you an artist or record label that is planning to release a record of cover songs? There is no need to go undercover for your compilation album art graphic design. Contact me today to get started! Peanut butter is an effective bait for mouse traps.